Hawkish BOE was not enough to empower GBP, on the other hand, despite the strong economic reports in the US, USD does not seem to be strong. The support rests at 1.38240 with resistance at 1.38820 which both lines are below the weekly pivot point at 1.39120. The EMA of 10 is moving with bullish bias in the descendant channel and it is above the EMA of 200 and below the EMA of 100. The RSI is rising towards the 50 level, the Stochastic is showing upward momentum and MACD line is above the signal line in the positive territory. The ADX is showing buy signal. 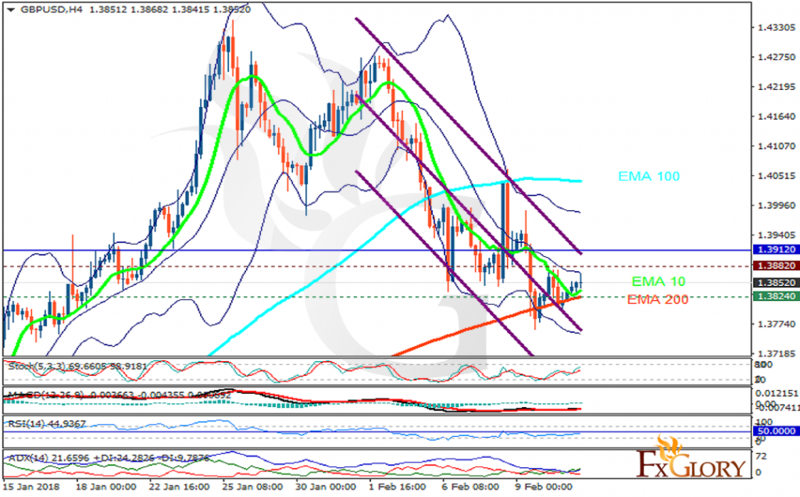 The pair will be consolidating within the upper and lower Bollinger bands in 1.375 and 1.395 ranges.